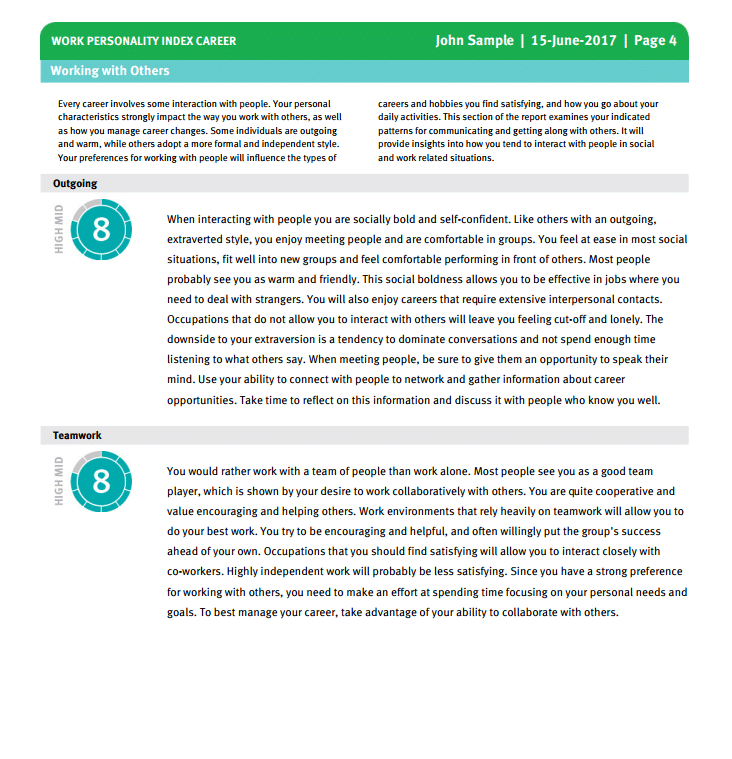 The Work Personality Index® Career Report provides insight into an individual’s personality traits, the kinds of work they enjoy, and how they can manage career change. It describes an individual’s work style, their approach to solving problems, managing change, and dealing with stress. This report provides exercises to help people understand their work strengths and develop a plan for changing careers. This report can be ordered and administered through our online assessment portal, CareerID, for 29 credits each.